[Summer vacation must visit] Donggang, Little Liuqiu, Dapeng Bay two days mini trip, e-travel tour package allows you to have fun and save money at the same time. Prepare to meet big sea turtles in the beautiful underwater world! 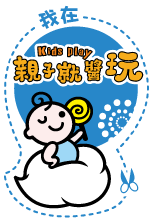 Don’t just think about Kenting when it comes to Pingtung! 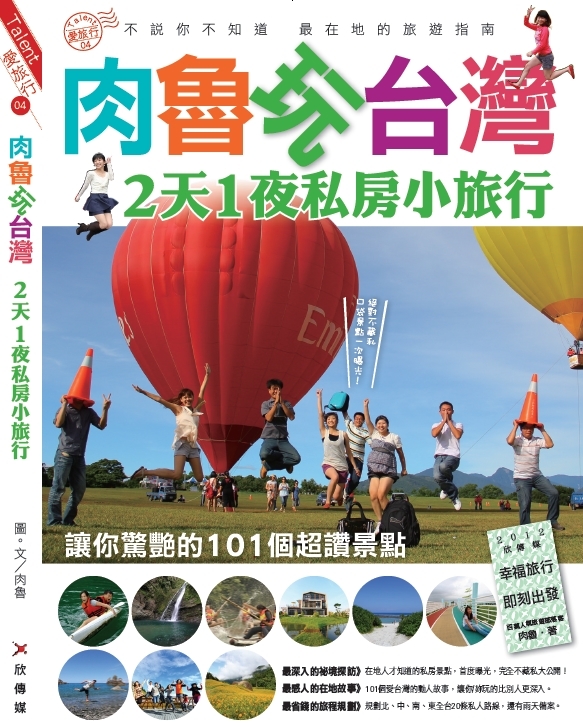 Dapeng Bay, Donggang, and Little Liuqiu are all fun attractions in Pingtung, and they’re all close to Zuoying high-speed rail station in Kaohsiung. Myself Damon’s home is located in Tainan, and it only takes 1 hour to drive to Dapeng Bay from there, so the bay is like a back yard for us people live in the southern part of Taiwan. The weather in Dapeng Bay National Scenic Area is summer like all year round, makes it suitable for all sorts of water activities. Also, it only takes 20 minutes boat ride from Donggang to Little Liuqiu. 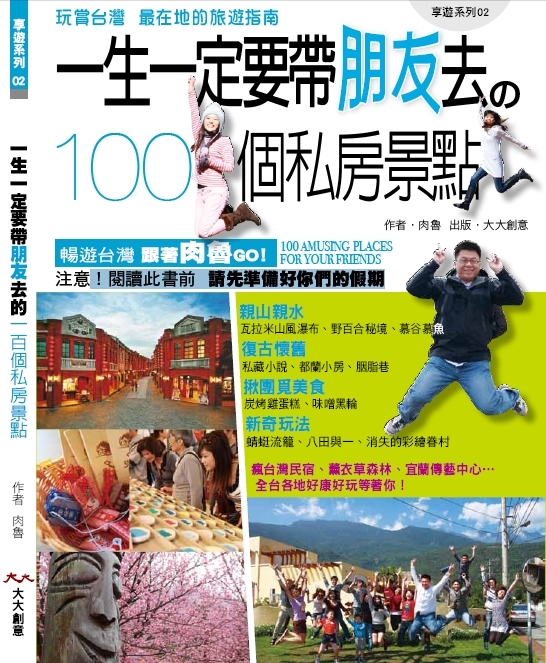 With two days mini trip, you can go straight to scuba diving in Little Liuqiu and have your close encounter with big sea turtles underwater on the first day, and back to Donggang to eat delicious local food like rice cake with minced pork, Taiwanese meatballs, and marlin fish oden rolls the next day. For someone always covets after hidden discount like me, I greatly recommend Donggang/ Little Liuqiu/ Dapeng Bay E-Travel Tour Package:https: // Dapeng.welcometw.com/post/activity.html,Its bargain price is definitely cheaper than traveling abroad. Now follow Damon’s footprints and dive into delicious food and ocean in Dapeng Bay and Little Liuqiu. ‘Summer promotion’ Donggang Little Liuqiu Return Boat Tickets + Electric Scooter Rental. 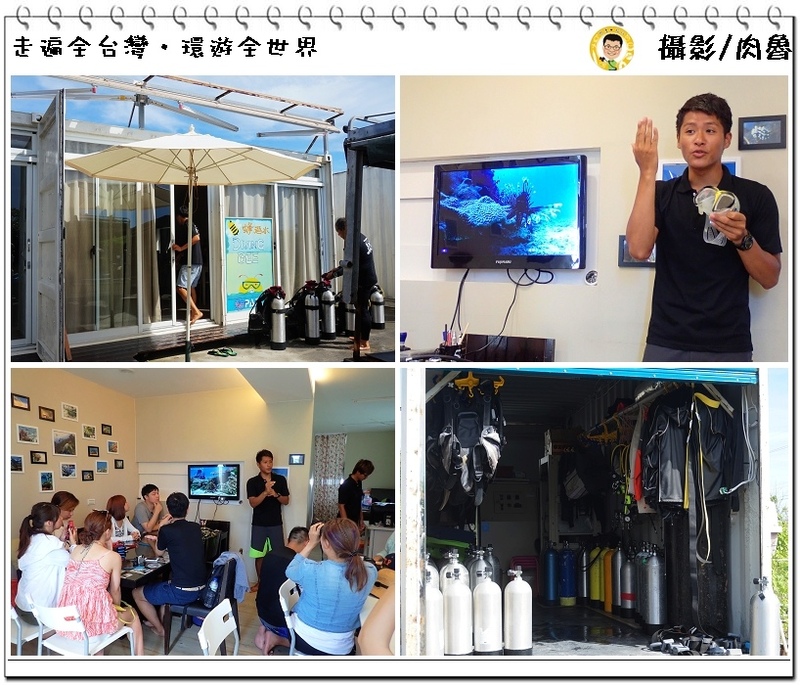 Little Liuqiu In Depth ‘Shore Kayak + Scuba Diving With Sea Turtles’. 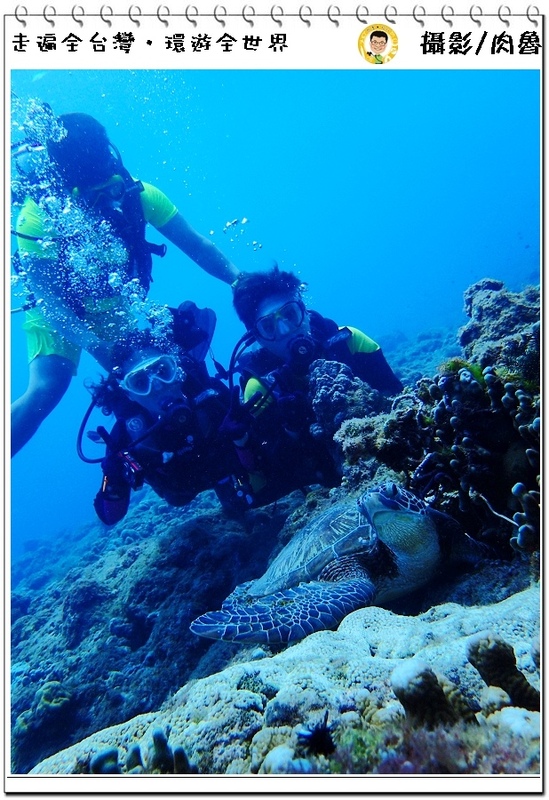 ▲Summer vacation must do – scuba diving at Little Liuqiu to see big sea turtles. I recommend you take the 7:30am Tai Fu’s boat to Little Liuqiu, board early to choose your seats while it’s not too crowded. There are seats on both upper and lower deck on this boat model. You get better view sitting on the upper deck, but it feels less shaky sitting on lower deck. However, it’s merely a short 20 minutes boat ride to Little Liuqiu, hardly any people get seasick. The best way to see Little Liuqiu is to rent a scooter. I recommend the following two tour packages of Dapeng Bay E-Travel Tour Package, Donggang ‘Little Liuqiu Return Boat Tickets + Electric Scooter’ and Little Liuqiu In Depth ‘Shore Kayak + Scuba Diving With Sea Turtles’. 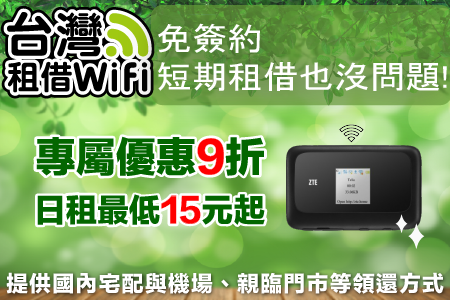 The first package will save you NTD111, and the second one will save you NTD101. Although it’s only NTD212, with that amount you can buy 4 packs of fried dough twists as souvenirs. 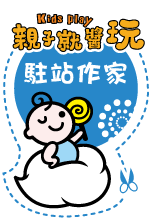 Frugal shopper absolutely should make good use of Dapeng Bay E-Travel Tour Package to get discount. 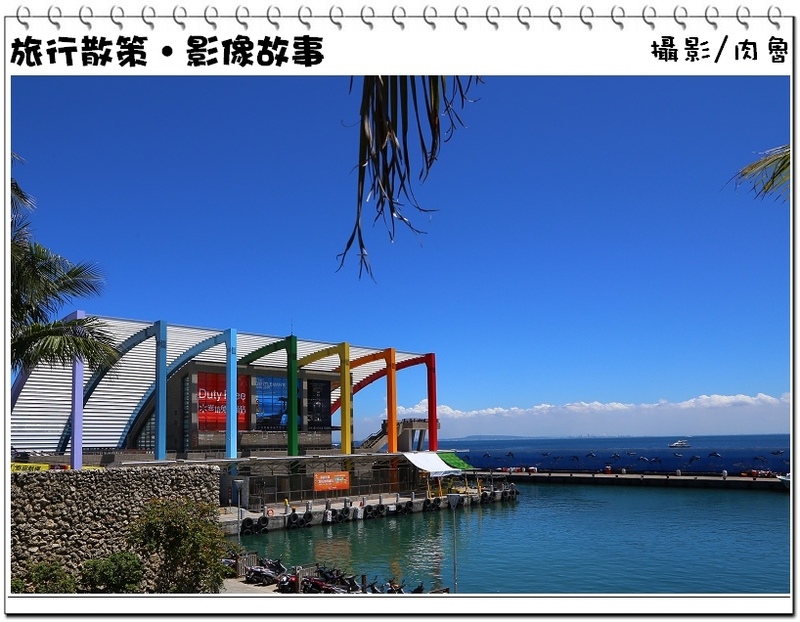 ▲After boat depart from Donggang, you won’t even have enough time to doze off before you arrive the harbor at Little Liuqiu. The colorful harbor looked like a column of rainbow, how pretty! ▲The scooter rental shop Isuda from the Dapeng Bay E-Travel Tour Package is located right near Little Liuqiu harbor. Turn left at the exit of the harbor, go up to the big steps you see on the right, and finally turn left when you reach the top. Overlooking the harbor from the big steps, you’ll find the relaxing view of azure ocean, and cute colorful embossment of fishes on the seawall. 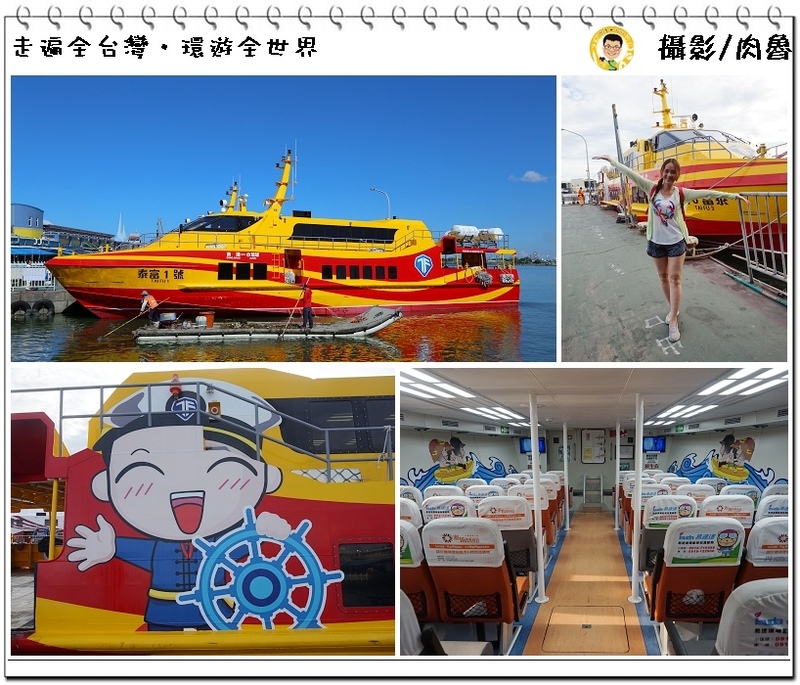 ▲Dapeng Bay E-Travel Tour Package Donggang ‘Little Liuqiu Return Boat Tickets+ Electric Scooter’ includes Little Liuqiu return tickets + 8 Hours of Isuda’s electric scooter, details please refer to https://dapeng.welcometw.com/tickets/info/GENERAL/rEE . 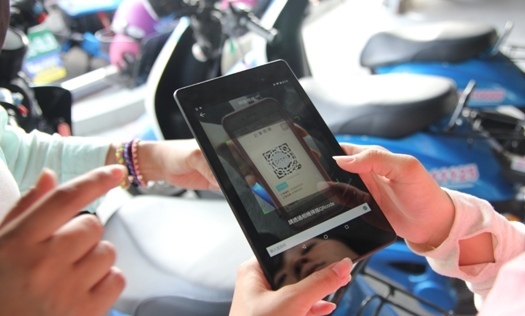 After your purchase of E-Travel Tour Package, you will receive a set of QR code. Simply let the staff scan your QR code to redeem the rental service after you arrive at the shop. Isn’t it time saving and environment friendly? Or else holding a bunch of physical tickets in hands, I’m afraid I’ll just throw it away in garbage can by accident. Oh my, my heart totally melted to see a whole row of electric scooters painted with ocean blue, and those pink or purple helmets come with it. How cute! 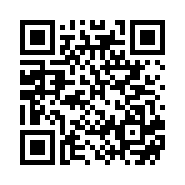 ▲Scan the exclusive QR code from shops, it’s that simple. 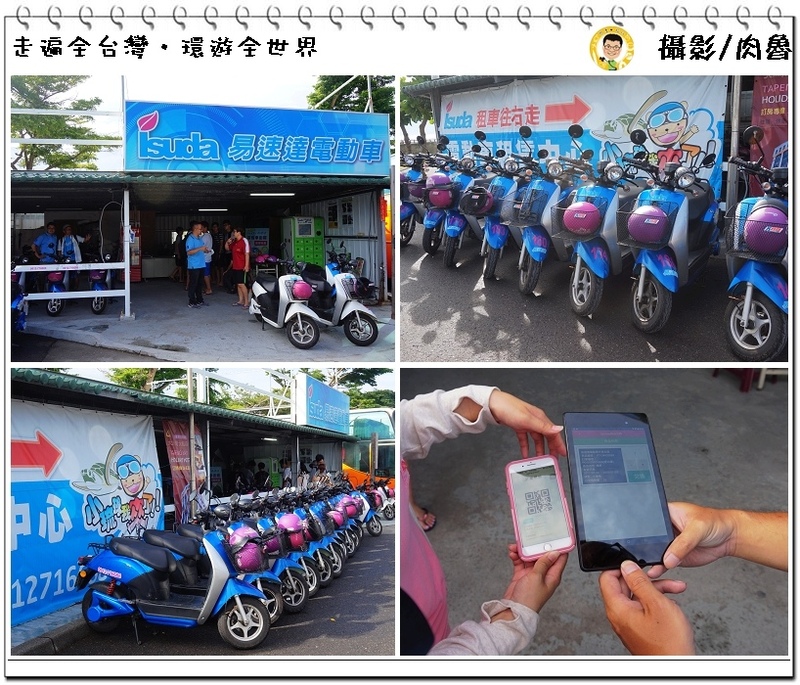 ▲Isuda has 4 battery swapping stations at Little Liuqiu. If you have any problem with the electric scooter during business hours, just call their service line to get help, it’s very convenient. There is hardly any slop on Little Liuqiu island, so you can take it easy with riding electric scooter there. Low-carbon is the trend in the future. Let’s start protecting our environment right now from using electric scooters! ▲Besides getting Donggang ‘Little Liuqiu Return Boat Tickets + Electric Scooter’, we also bought Little Liuqiu In Depth ‘Shore Kayak + Scuba Diving With Sea Turtles’ E-Travel tour package. 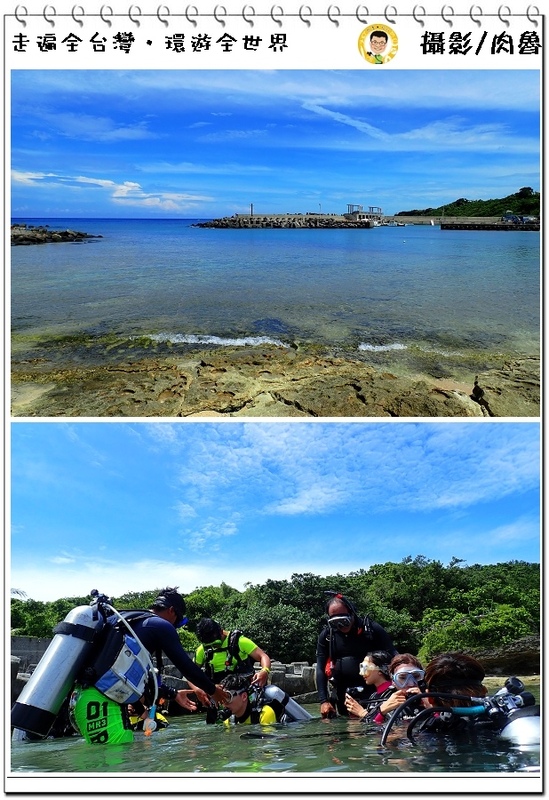 Scuba diving is a must do when visiting Little Liuqiu. You will see big sea turtles swimming in the water without any effort. We went straight to Diving Bee Marine House at our first stop, and felt relief to see their complete diving equipments. The instructor started teaching on shore right away, My wife Yvonne thought the instructor is a handsome hunky boy and looks a bit like Japanese, so I was being left out by my own wife, boohoo. The instructor taught us how to breathe, how to wear mask, how to kick, how to clear water out of mask and how to use hand signals. Ask away if you have any questions about diving, I’m help to help! ▲Yvonne majored in Physical Education at gradated school, so she already took diving courses at school. 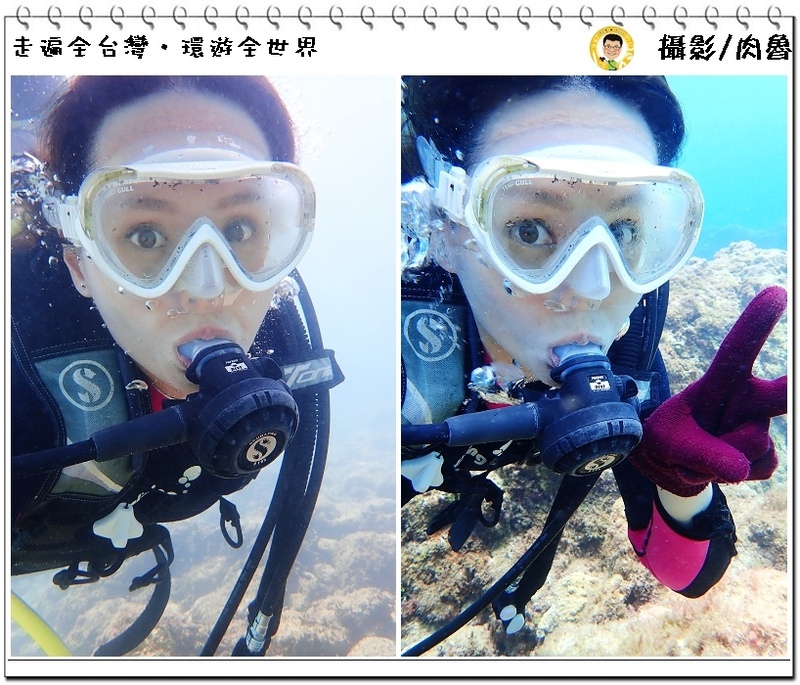 She knew how to use the equipments very well, and she even went scuba diving at Guam not long ago (yeah she got such an easy life). But it’s still the best to practice step by step for your own safety. 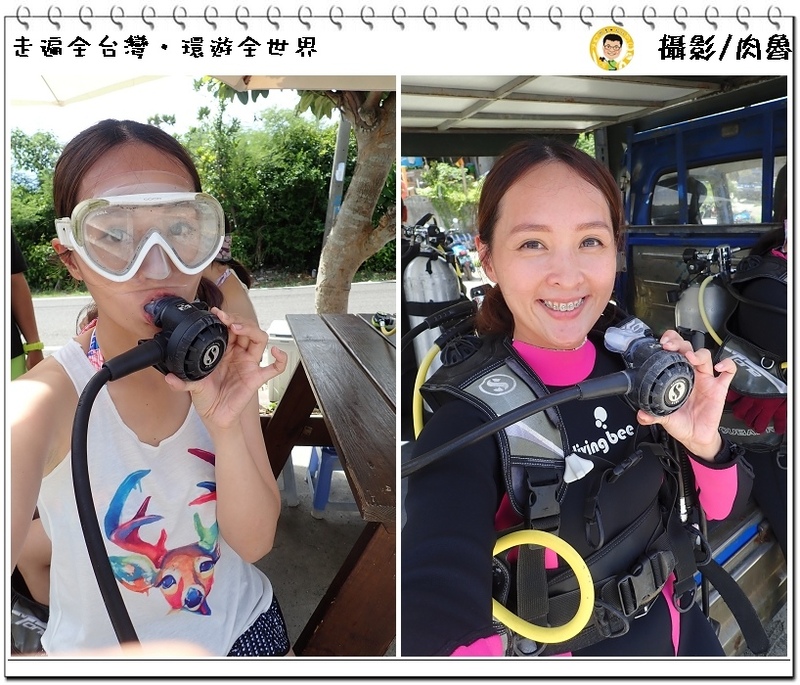 It only takes about 3 minutes by car to go fromDiving Bee Marine House to SanFu Port about 3 minutes by car, the calm waves there that day was good for beginners to practice. The instructor sweetly checked our equipments before we go underwater, and he also helped with putting on weights and scuba tank. I knew my wife couldn’t wait to jump into the water! 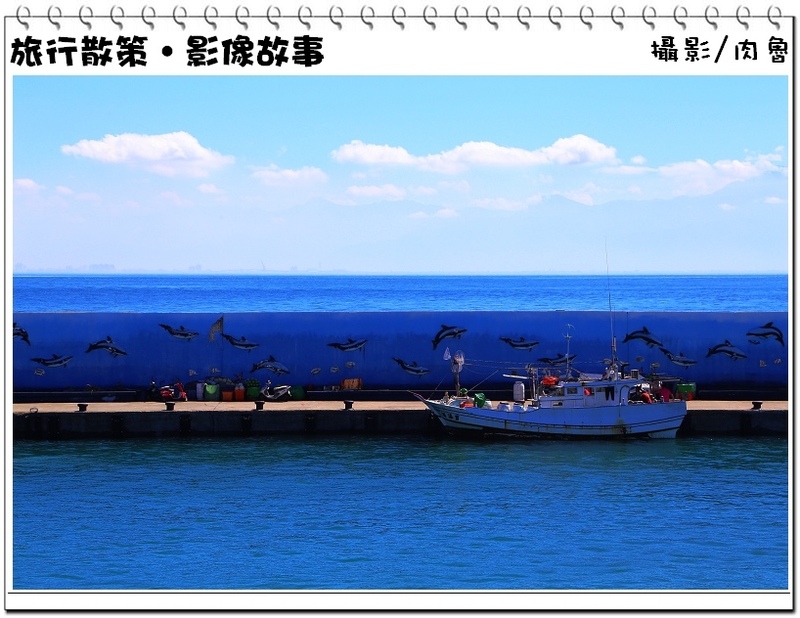 ▲SanFu Port is very beautiful itself already. We didn’t start diving immediately after jumping into the water, the instructor told us to practice first on shore, but when other students were busying getting ready, the supplicated Yvonne quickly went underwater to take pictures of beautiful scenery. I doubted her intention was to get some alone time with the hunky instructor. Instructores from Diving Bee Marine House always help taking pictures of divers, so you can bring home beautiful pictures even without a waterproof camera. 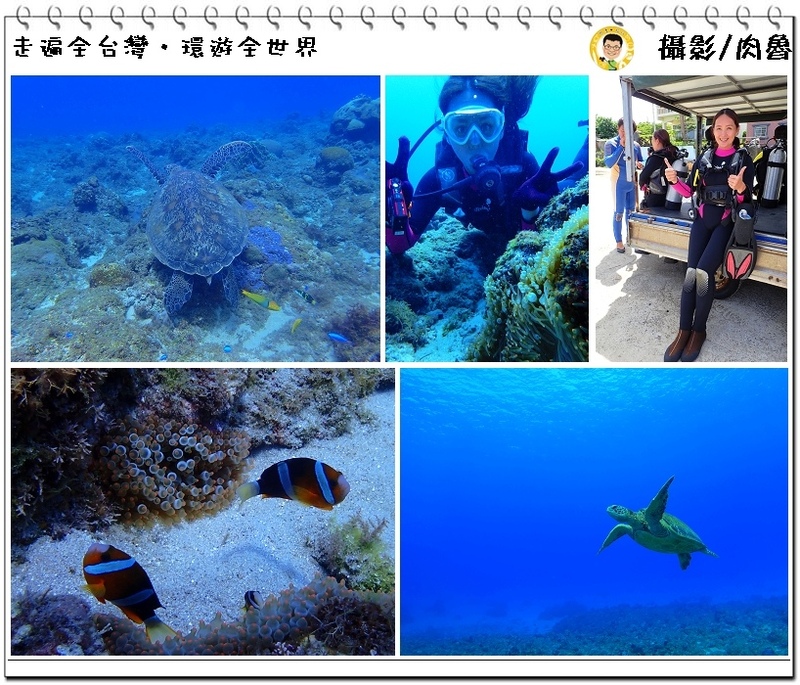 However, we brought the new released Olympus TG-5 waterproof camera with us to experience taking pictures underwater that day. ▲The water in coral reef area farther away from the shore is cloudier, but you can still see a lot of small fish swimming around. The most important thing of scuba diving is to adjust your breathe smoothly and don’t be nervous! ▲Wow! Right after we went underwater, we luckily saw one big lovely sea turtle swimming by with its flippers. We had been looking forward to swim with sea turtles for so long, so we were super excited and took crazy amount of pictures. 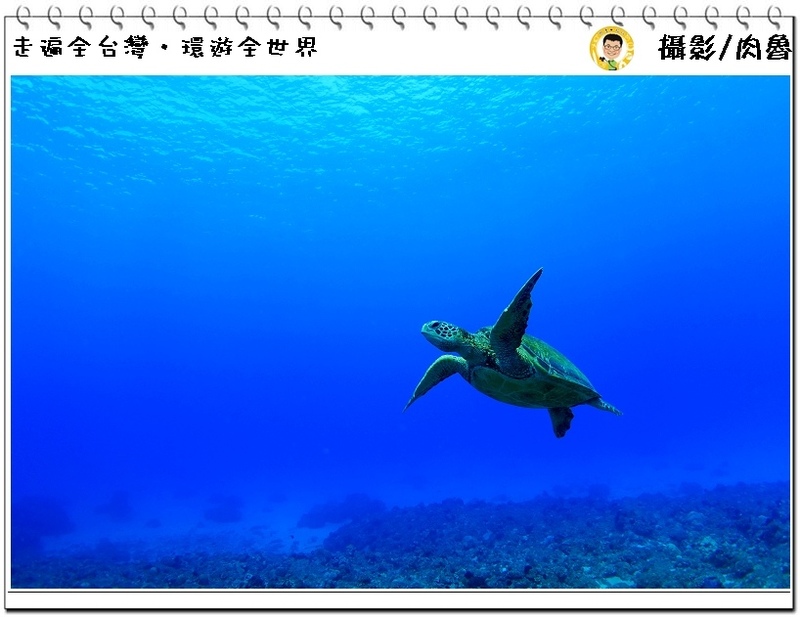 There were many fishes swimming alongside the big sea turtle, making yellow and blue scene, it was absolutely fantastic. 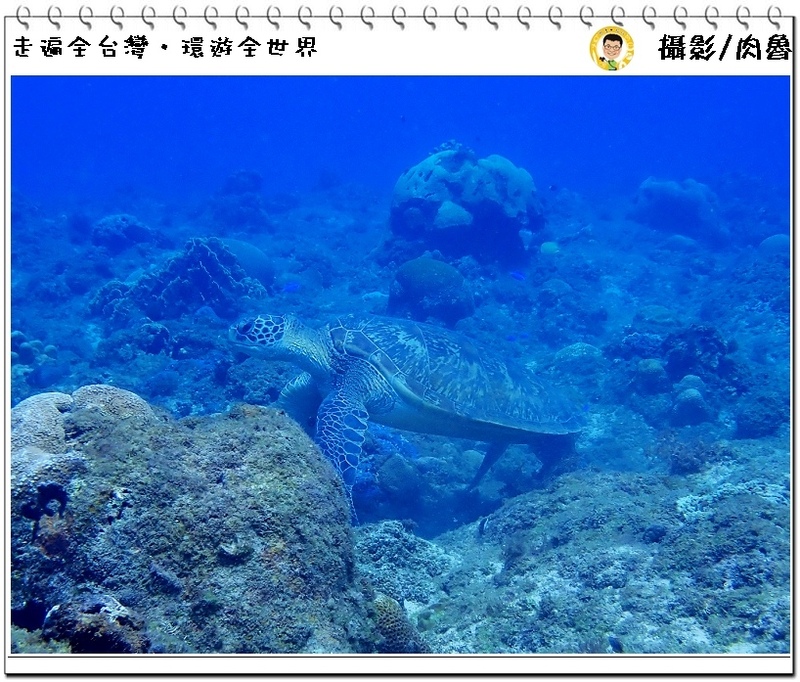 ▲It was so soothing and comforting to look at big turtles freely swimming in the underwater world. We saw a total of four big sea turtles that time. We really should thank people in Little Liuqiu actively rehabilitate sea turtles, so we don’t need to go abroad to see big sea turtles. The blue sea around Little Liuqiu rivals the blue sky in Greek. ▲Instructores from Diving Bee Marine House usually bring diver to explore underwater world on one-on-one basis, a instructor can only lead two divers at the same time at most. This photo of us and a big sea turtle was taken by our instructor. It’s everyone’s responsibility to protect sea turtles. Never touch or chase after sea turtles! The look of sea turtles sticking head out of water was super adorable. 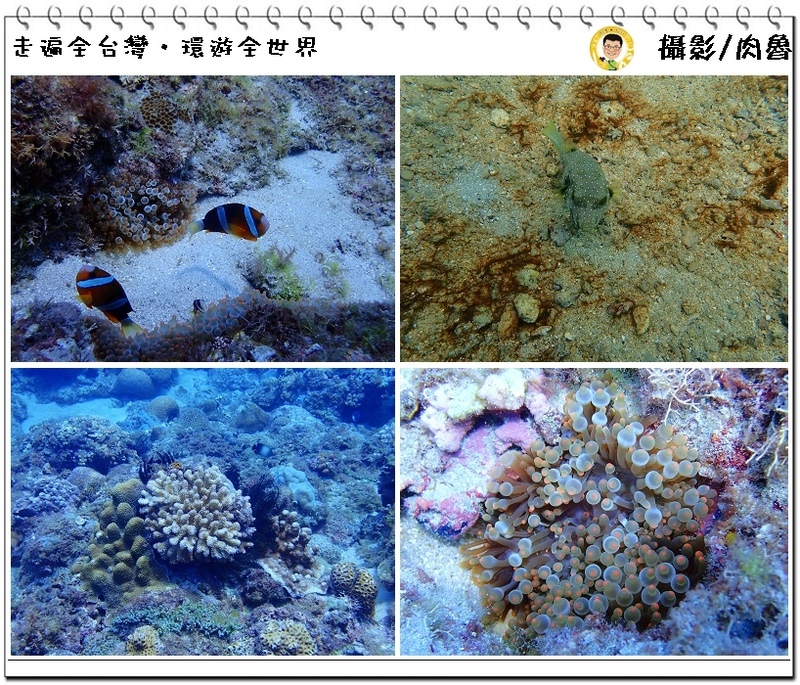 ▲The underwater world in Little Liuqiu was very colorful, and it actually rivals places I visited like Sabah, Guam and Okinawa. Shy clownfish Nimo which can usually be found around corals quietly showed its face. Although calcific corals are lack of vitality, they are pretty in their own way. We also saw puffer fish swimming by, and I really want to see him swollen up and looking chubby. ▲Ha! Seeing big sea turtles underwater means that your scuba diving experience is successful. After went back ashore, Yvonne asked about the gender of the smallest sea turtle we saw today, the instructor said the sea turtle was too small to tell, we have to wait until it grows bigger, I never knew that. ▲Little Liuqiu is the place where sea turtles can be seen most easily in Taiwan, thanks for many people guarding big sea turtles together. 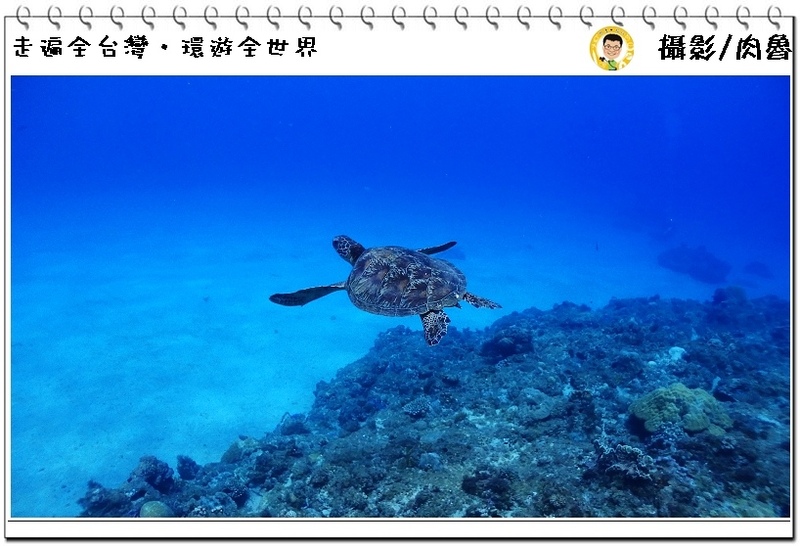 We shouldn’t arbitrarily destroy the ecology, and let the big sea turtles in Little Liuqiu happily grow up at the unique coral reef terrain. 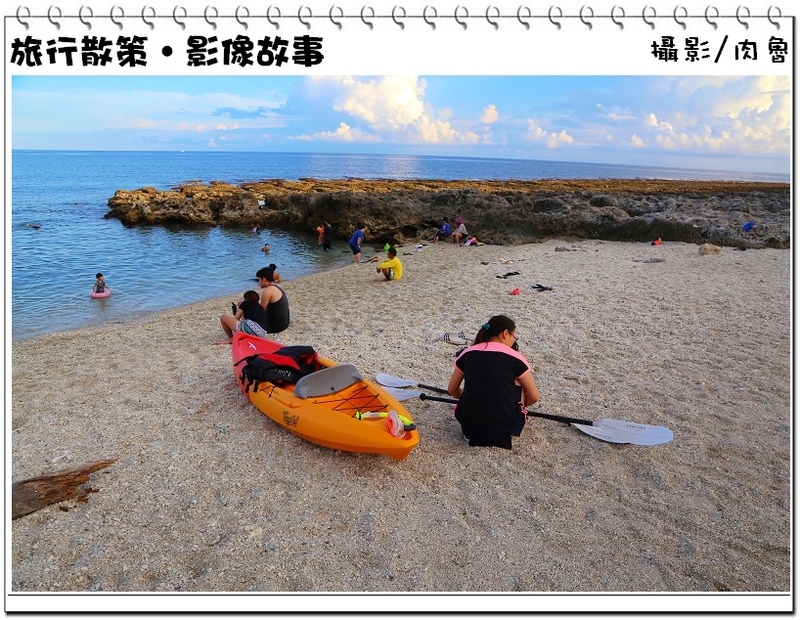 ▲Little Liuqiu In Depth ‘Shore Kayak + Scuba Diving With Sea Turtles’ e-travel tour package also includes experience shore kayak. Seeing Little Liuqiu from the sea was very unique. There are plenty of opportunities to see special scene of big sea turtles sticking their heads out of sea. If you want to save money while visiting Dapeng Bay National Scenic Area, find discounts on Dapeng Bay E-Travel Tour Package: https: //dapeng.welcometw.com/tickets/listAll. 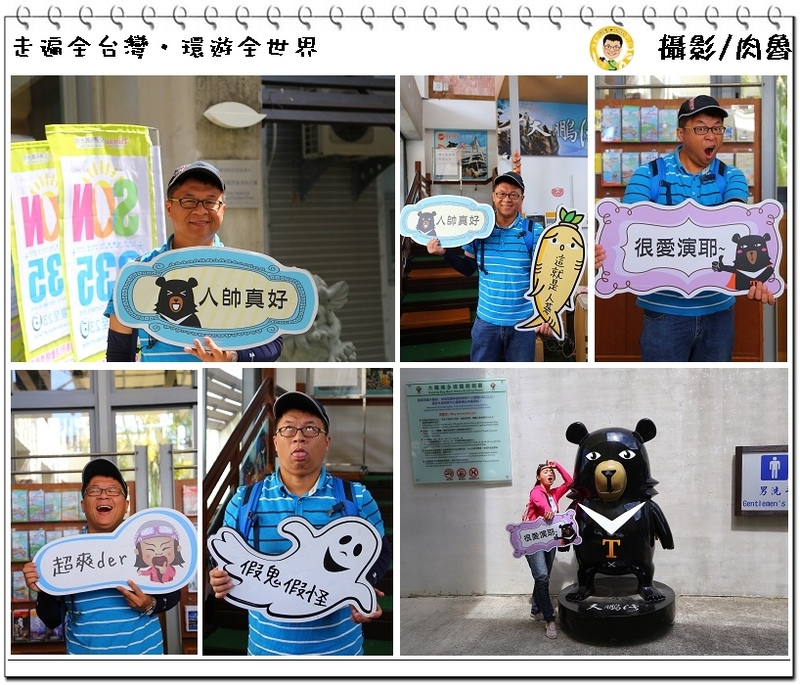 ▲When it comes to Dapeng Bay, Damon also wants to recommend you to visit Dapeng Bay National Scenic Area. There are so many funny placards for you to take pictures with, like "Good to be handsome" which suits me very well, or “Drama queen”, "This is life", “Life is great” and so on. There are also statues of Ohbear and cute version of Royal emperor Wangye standing outdoors. Damon and Yvonne had very good fun there, and many people wanted to borrow the placard "Good to be handsome" from me, hey... this placard suits to me only, ha ha! ▲There is another placard “I’m in Dapeng Bay” that Damon thought it was cool. Ha, ask me where I am please! I won’t bother to explain it. 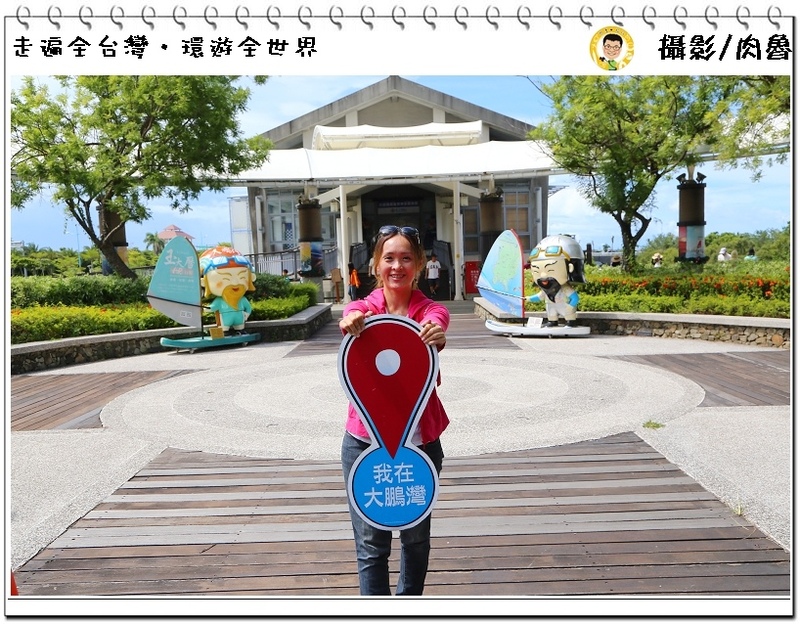 Remember to go to Dapeng Bay Visitor Center first. Donggang delicious local food tasting, including rice cake with minced pork, Taiwanese meatballs, Wang Jiang Sashimi,marlin fish oden rolls, Chinese herb tea, Gui Ling Gao, Wei-I Foodstuff Company and Information Station. ▲After you get back to Donggang from Little Liuqiu, you must go get some rice cake with minced pork, which is the best choice for breakfast or lunch for local people. The dish was created when local people used to have rice cake, sausages and pork as offering for Gods, and someone mixed all the ingredients together to make a bowl of delicious Rice cake with minced pork because people can never finish all the food. The dish received a lot good comment unexpectedly and soon became Donggang’s unique street food. Rice cake with minced pork in Donggang includes ingredients like rice cake, sausages, pork belly, milkfish soup and Sergestid shrimp, the white cake looks like a big circle after being steamed. 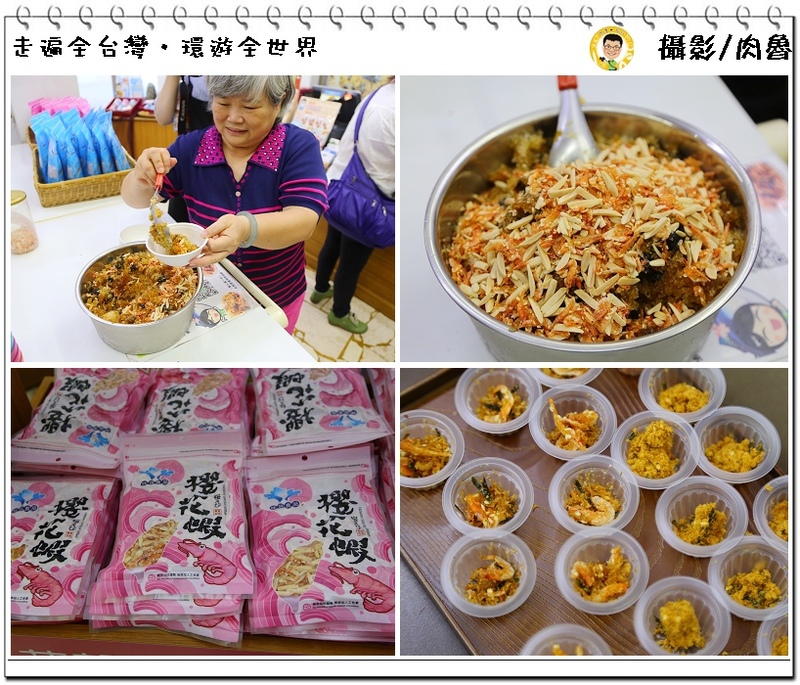 The owner of the shop said that rice cake with minced pork in Donggang is not like normal rice cake, the procedure is more complicated and only indica rice can be used. The cakes will have gummy textures after being steamed, and they will shake like jelly when being touched. This rice cake with minced pork shop is located near Donggang port, across street from Donutes coffee shop. It opens in the morning and closes in the afternoon, but it might be sold out before closing time. Rice cake with minced pork makes a very rich brunch. ▲White cake with pork and sausage, topped with soup and few Sergestid shrimps, a bowl of rice cake with minced pork is then completed. Is it a dry or wet dish? In fact, it tastes dry but looks wet, but you can also drink the soup if you want. The great combination of good ingredients makes it very tasty. 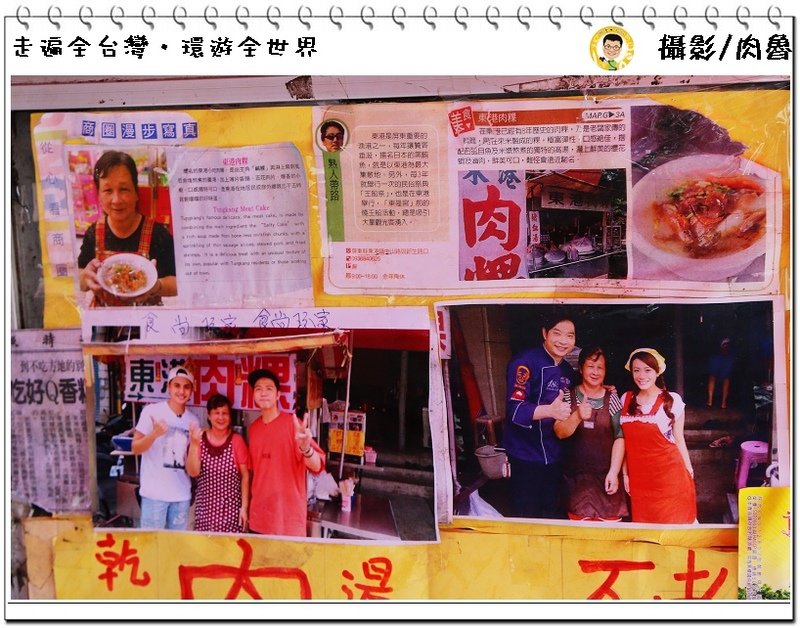 ▲Local people in Donggang usually have their own favorite rice cake with minced pork shop. This nameless shop is loved by many locals and Damon also fell in love with it. A bowl of rice cake with minced pork is only NTD40, it’s such a great value! ▲Of course my stomach still wanted more food after the rice cake with minced pork. We went to 2nd public retail market for some Taiwanese meatballs at our second stop, and this shop is only known by locals. They have crystal clear meatballs, handmade sausages, rice sausages and meat rolls, order one portion Taiwanese meatballs and spend another NTD50 to get a plate of mix sausages is the best way to go. 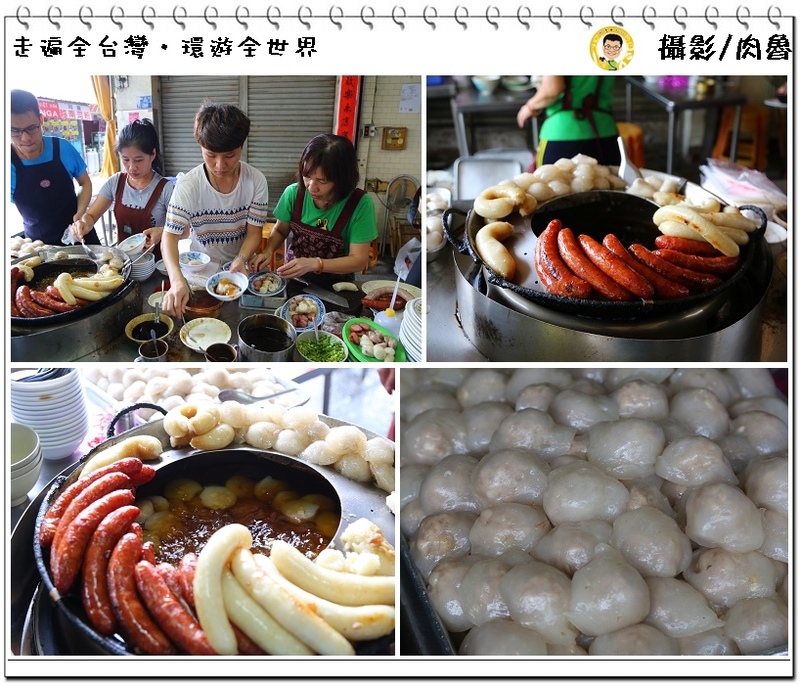 ▲The sausages weren’t too fat nor too dry, natural hot castings were used for the rice sausages, and tuna were added into the special meat rolls which you can only see in the south of Taiwan. All these completely conquered Damon’s taste buds. The shop also sells steamed Taiwanese meatballs, but you need to go early for the steam ones. The gummy texture and the solid pork filling of the fried ones is super delicious. I strongly recommended it! ▲Make sure to try their special spicy sauce when you go to Donggang authentic Taiwanese meatballs, it smells great and not really that spicy, and you’ll have great appetite after having it! 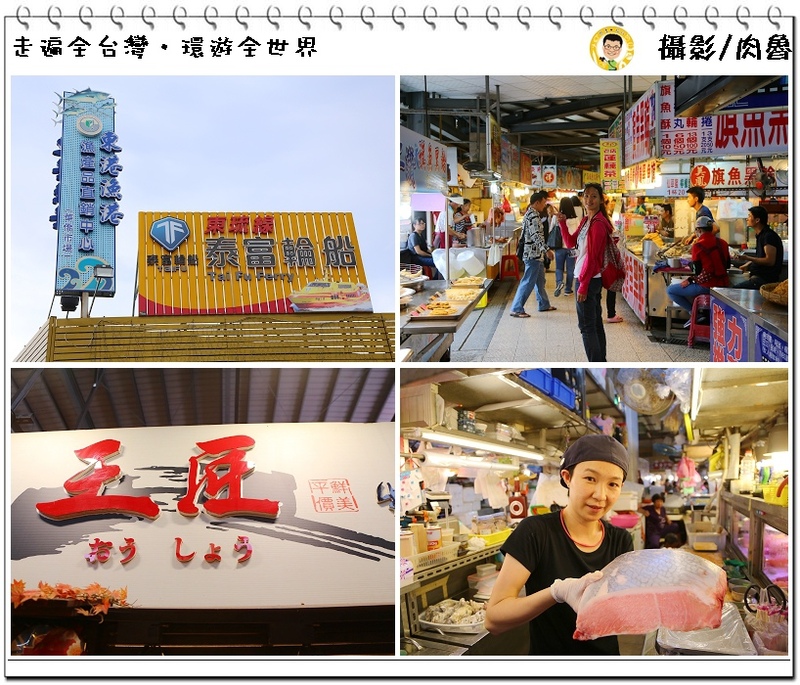 ▲We visited Huaqiao Market at our third stop in Donggang for food and drinks. There are a lot of shops selling sashimi in the market. If you want to try some Bluefin tuna, I recommend you go to Wang Jiang Sashimi, you’ll learn the different part of a tuna fish while you’re there, such as Kama (O-toro), upper abdomen, middle part of abdomen, back meat and red meat. The best way to eat a fish is to know the fish first. 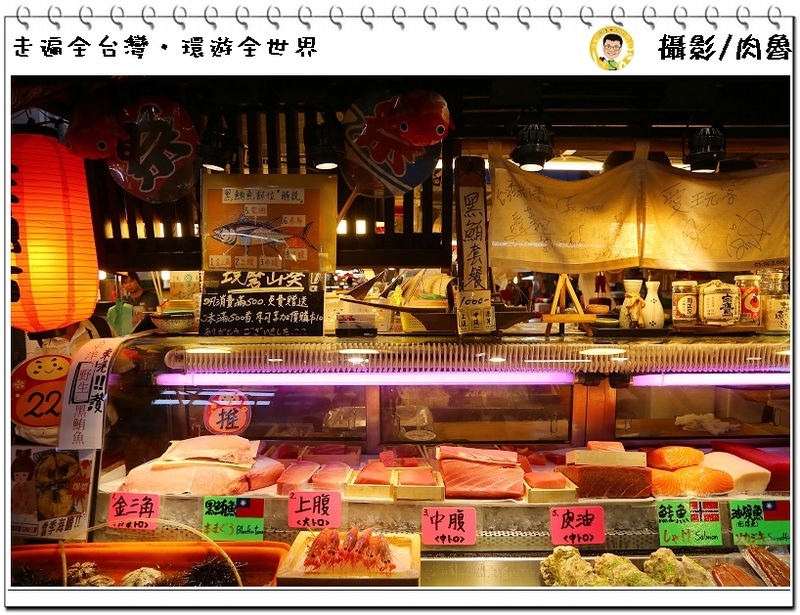 ▲Look at the glass cupboard at Wang Jiang Sashimi, all parts of Bluefin tuna are displayed on the top, you can see all the fat and grease on the fish meat clearly. In addition to Bluefin tuna, there’s also sweet shrimp, sea urchins from Penghu islands, Hokkaido scallops and other seafood. For example, five large sweet shrimps only cost NTD200, I think the owner really has a heart of Buddha. ▲We had a special red meat set that day. It came with a sweet shrimp, roasted tuna and tuna Sashimi. Oyster shell was used as a plate, and the whole thing was decorated with small bamboo. The set looked good, smelled good and tasted good. It’s super delicious and the shrimp was very sweet. 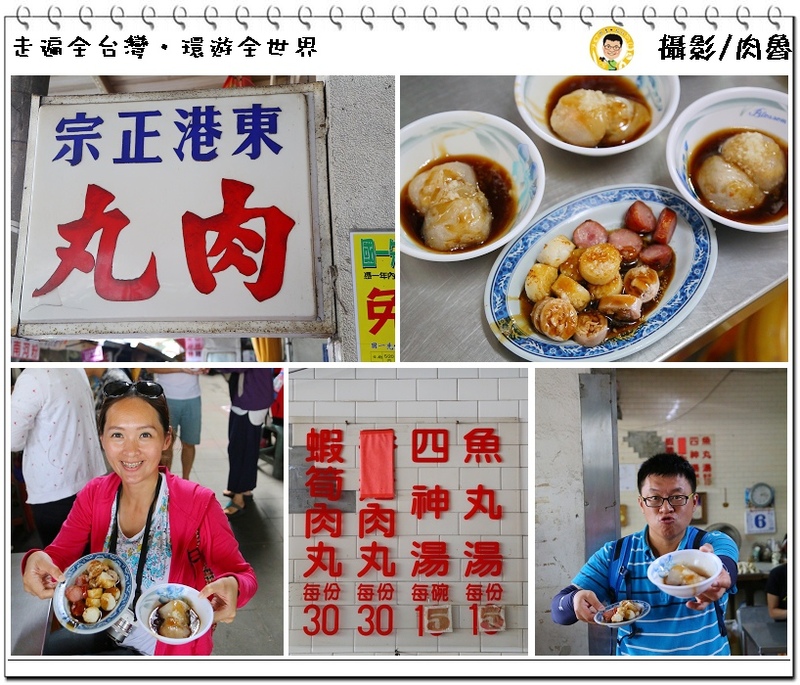 You’ll get to eat this set if you buy Dapeng Bay E-Travel Tour Package ‘Three Hours Donggang Delicious Local Food Trip’. 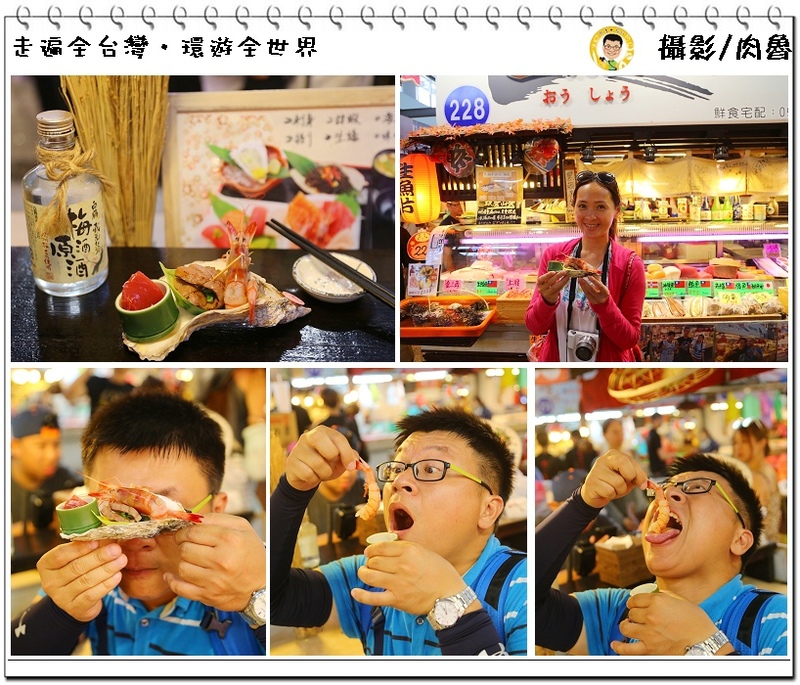 From Rice cake with minced pork, Taiwanese meatballs to Wang Jiang Sashimi, and following with marlin fish oden rolls, Chinese herb tea, and shaved ice with Sergestid shrimp, the Three Hours Donggang Delicious Local Food Trip only cost NTD 599 per person. It also came with an electric scooter and personal tour guide. It’s really a bargain. You can go online to check the numbers of people who signed up for tours every day. Just find a couple of your friends and you’ll be able to drive around with electric scooter to try out delicious local food in Donggang. 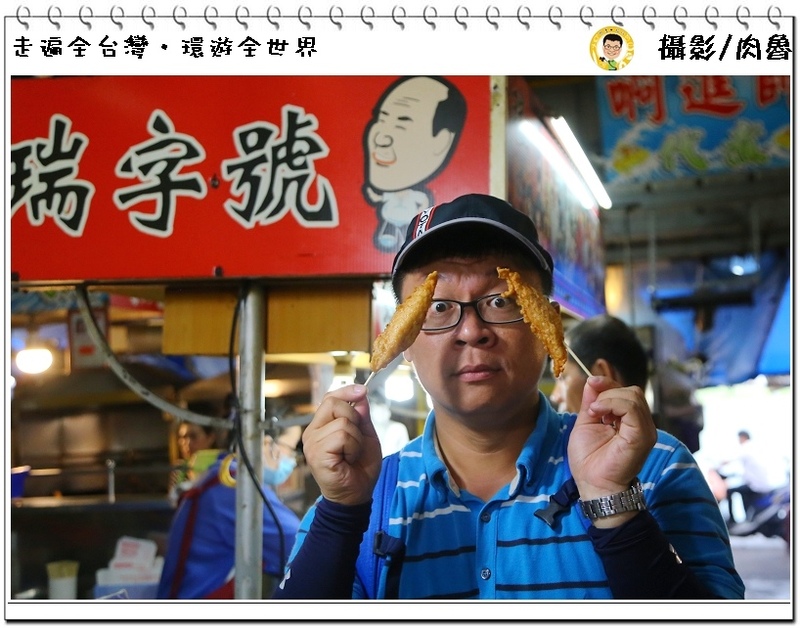 ▲Our fourth stop was to eat Rui Zi Hao’s marlin fish oden rolls, which is also located in Huaqiao Market. There are a lot of shops selling marlin fish oden rolls in the market, but Rui Zi Hao is the one to go. One marlin fish oden roll only cost NTD10, and it even has eggs inside. It’s fried right there at the shop, not greasy at all and super yummy. Buy ten get one free! 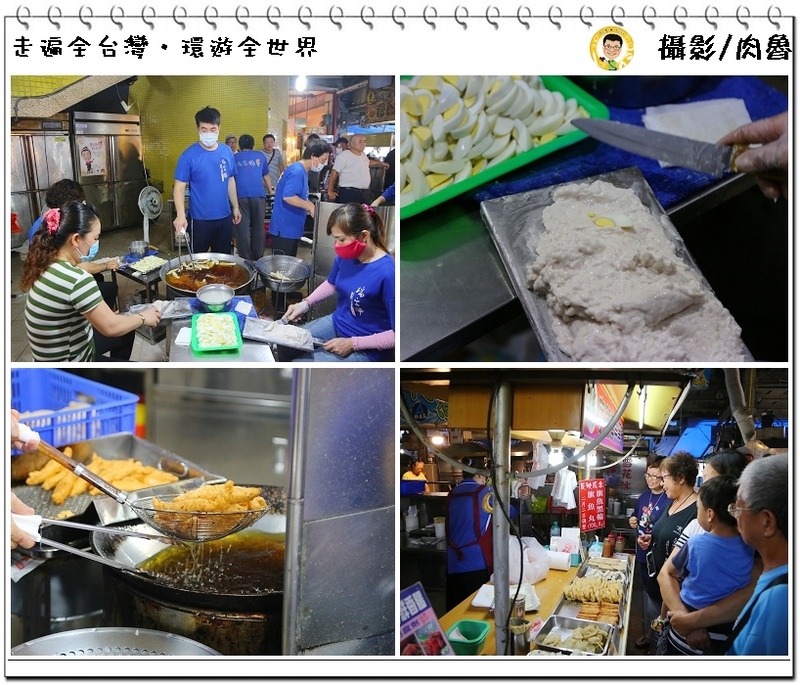 ▲Rui Zi Hao’s marlin fish oden rolls were made right there at the shop, eggs were placed on the fish paste, and wrapped with more paste before being fried in the low temperature oil. 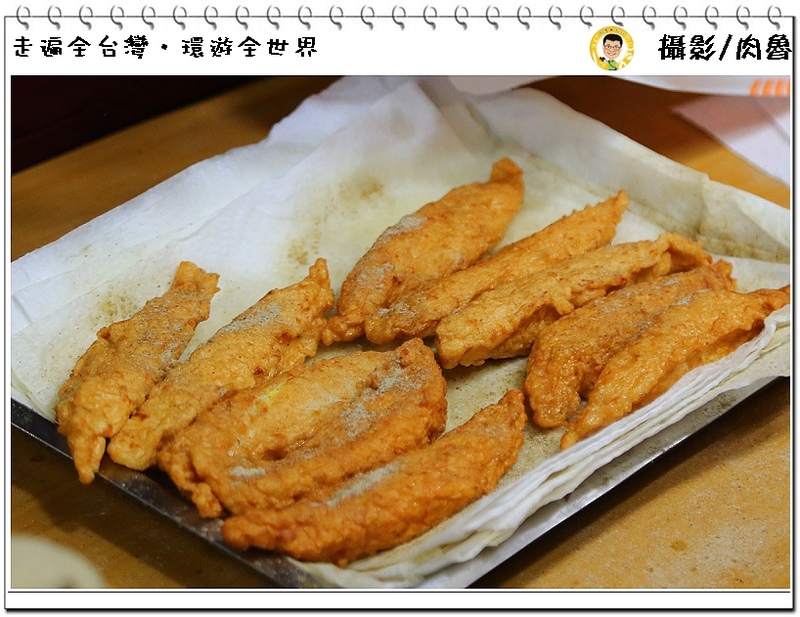 After the rolls were shaped, they were thrown into the high temperature oil tank to be fried again, hot and crisp marlin fish oden rolls were ready soon after that. Their oil looked quite light and clear, not black like some other stores. It made me feel better when eating it, I strongly recommend this local known only Rui Zi Hao’s marlin fish Oden rolls. 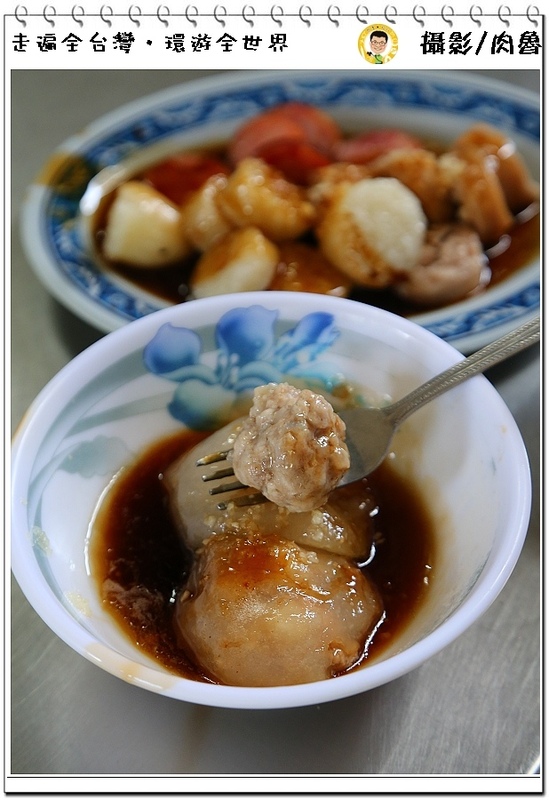 ▲Make sure to check out how they makemarlin fish oden rolls at Rui Zi Hao when you visit. Looking at a row of marlin fish oden rolls being made was very comforting. 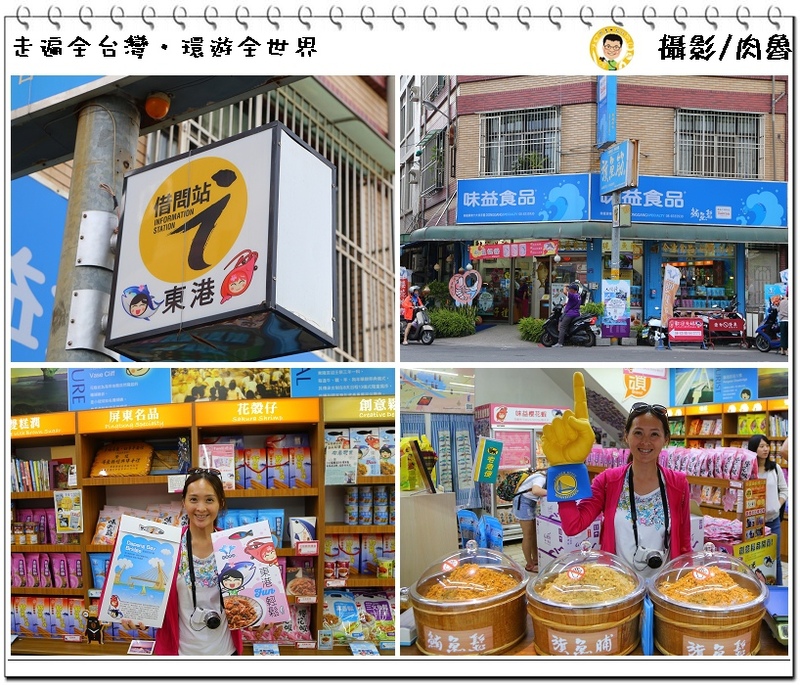 ▲We arrived at our fifth stop at Wei-I Foodstuff Company, which is diagonally opposite to Huaqiao Market. You can buy the best souvenirs in Donggang there and it also serves as information station. If you want to find tasty Shuang Gao Run, Rice cake with minced pork, or want to know local attractions, just ask "Apple" in the shop. You will be able to try out some tasty ground fried marlin floss soon after you enter the shop. 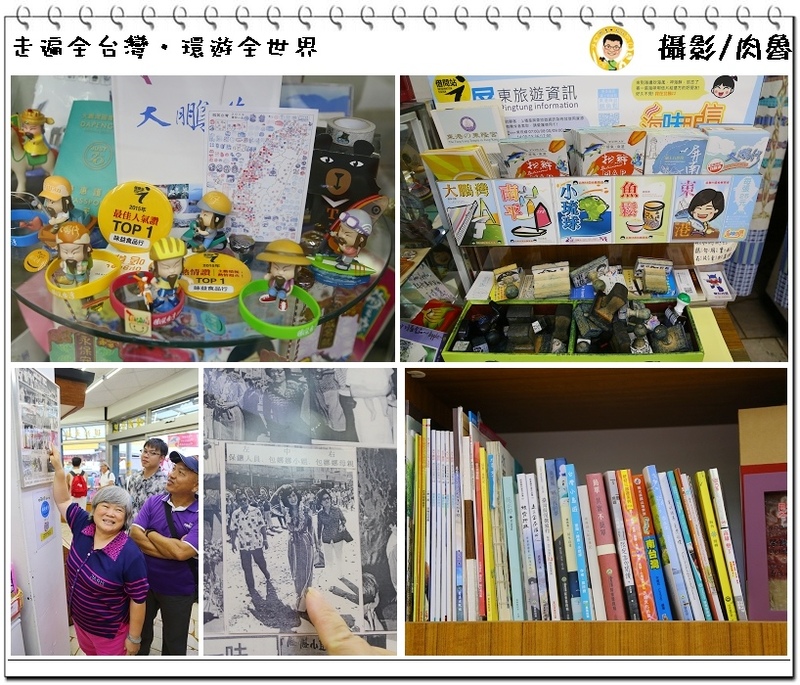 ▲At Wei-I Foodstuff Company, there are many commemorative stamps allow people to use, a lot of travel books about Pingtung allow people to read, and even postcards of Dapeng Bay, Little Liuqiu, ground fried marlin floss and Donggang available for purchase. The famous Apple, a passionate lady with gray hair, at Wei-I Foodstuff Company was right there in front of us. She pointed to the walls and showed us a black and white photo of Bao Na Na, who was super popular at the time, visiting Wei-I Foodstuff Company back then. 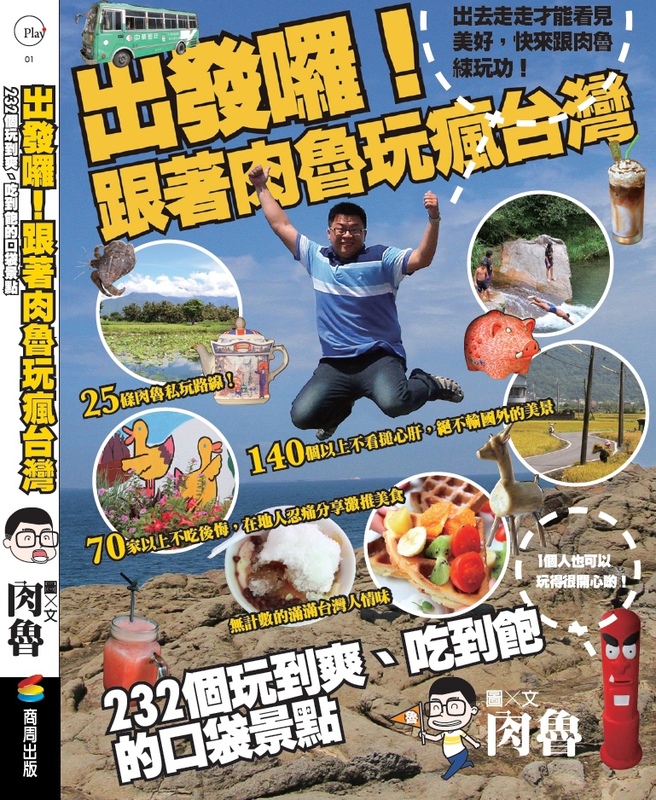 ▲Everyone purchases Dapeng Bay E-Travel Tour Package ‘Three Hours Donggang Delicious Local Food Trip’ will be giving an complimentary bowl of brown sugar shaved ice with Sergestid shrimp, the hidden item you can’t find on the menu. It’s tasty and refreshing. Mix a whole pack of Sergestid shrimp and almond on the brown sugar flavor shaved ice, everything came together surprisingly well. Apple told us it was the students who taught them how to eat it that way. 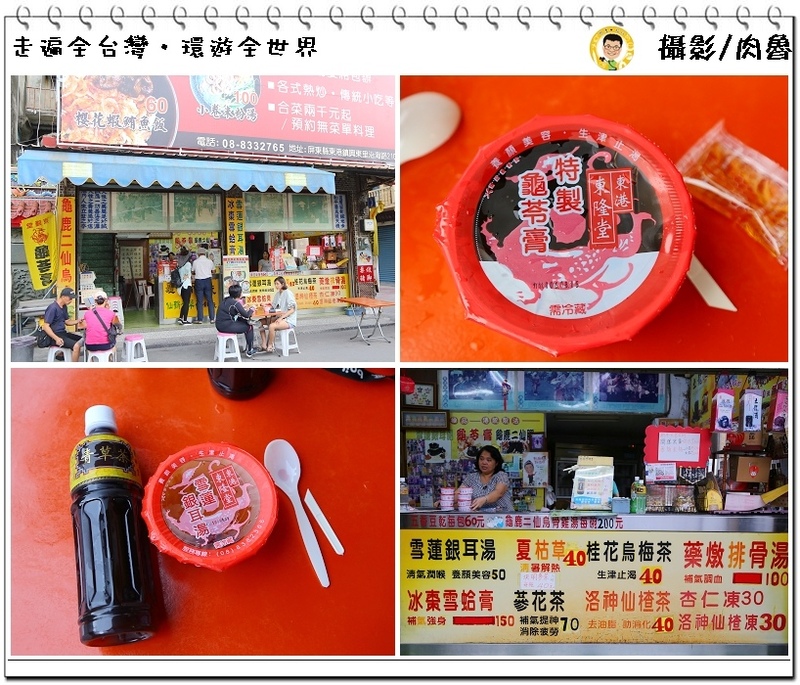 If you want to try brown sugar flavor shaved ice with Sergestid shrimp, get Dapeng Bay E-travel Tour Package ‘Three Hours Donggang Delicious Local Food Trip’. Or you can buy a pack of Sergestid Shrimp and almond at Wei-I Foodstuff Company, and pour it on the shaved ice yourself, haha! ▲There are a lot of souvenirs you can buy at Wei-I Foodstuff Company, such as this ground fried tuna floss which represented as Taiwanese feature food in German Cologne International Food Exhibition. 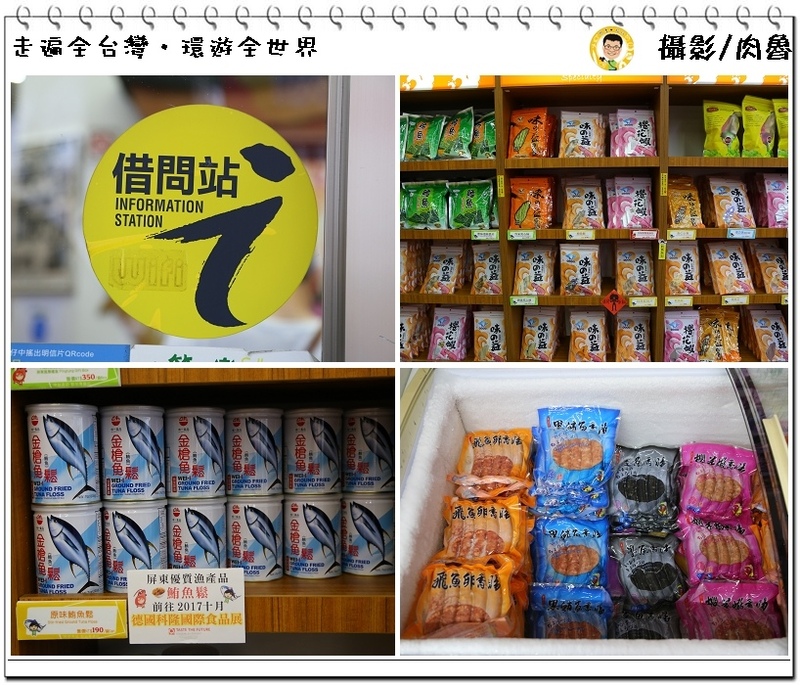 If you want to buy flying fish sausage, cuttlefish sausage, Sergestid shrimp sausage, dried shredded squid, seaweed chips and other snacks, Wei-I Foodstuff Company is the place to go. ▲Our last stop of Donggang Delicious Local Food Trip was Dong Long Tang’s Gui Ling Gao which is right in front of Donglong Temple. You don’t need to go to Hong Kong for genuine Gui Ling Gao anymore. Gui Ling Gao was the dessert for nobility back in Qing Dynasty nobility. In addition to Gui Ling Gao, you can also have a can of Chinese herb tea, and others dessert like almond jelly, Self-heal grass tea, sweet snow lotus and white fungus soup are also very popular. ▲Some people are afraid of the bitterness of Gui Ling Gao, so it is usually provided with a pack of honey. 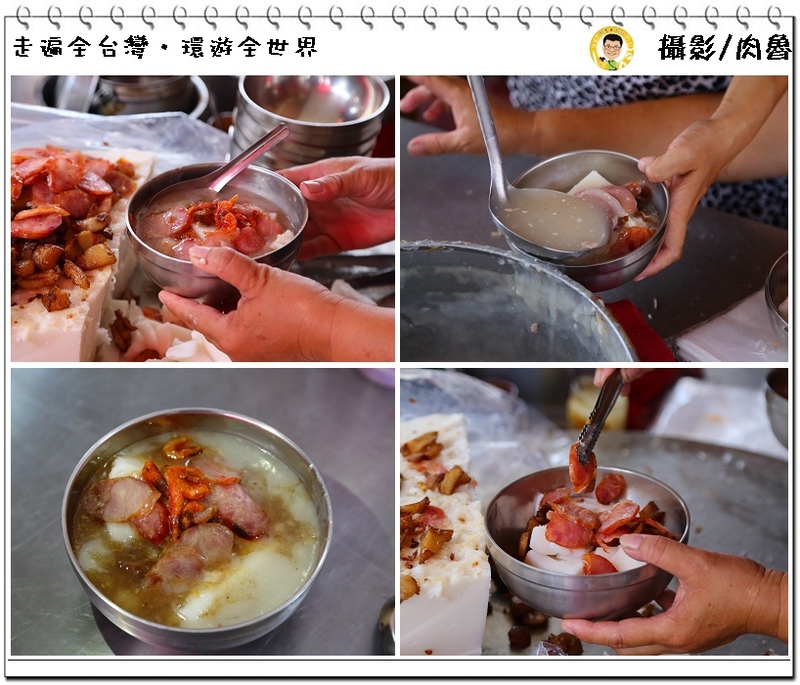 The owner said the best time to eat Gui Ling Gao is in summer, you will feel very refreshing and annealing after having one. 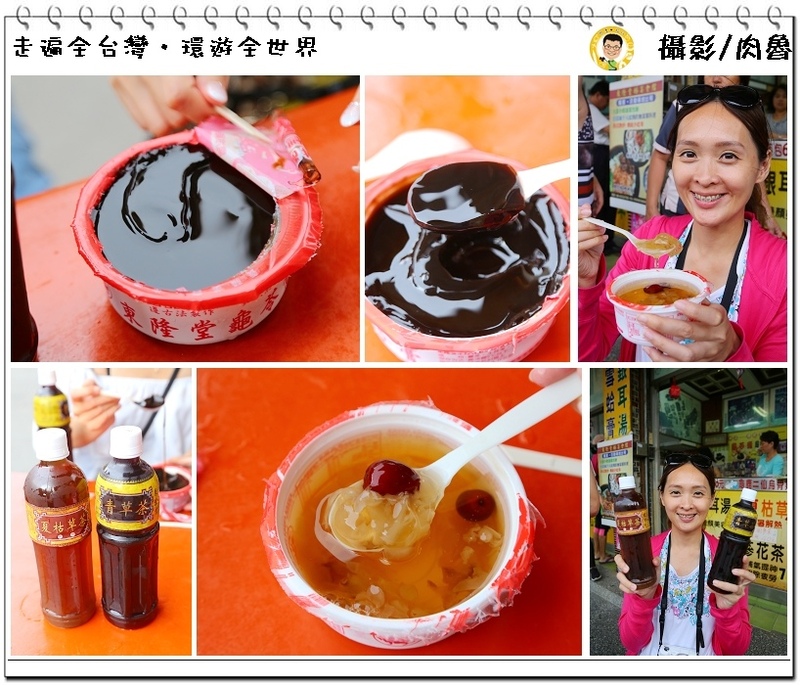 It’s too hot in the summer to have shaved ice, it will make you feel torrid, but Gui Ling Gao will give you more energy. Three Hours of Donggang delicious local food is very enjoyable. 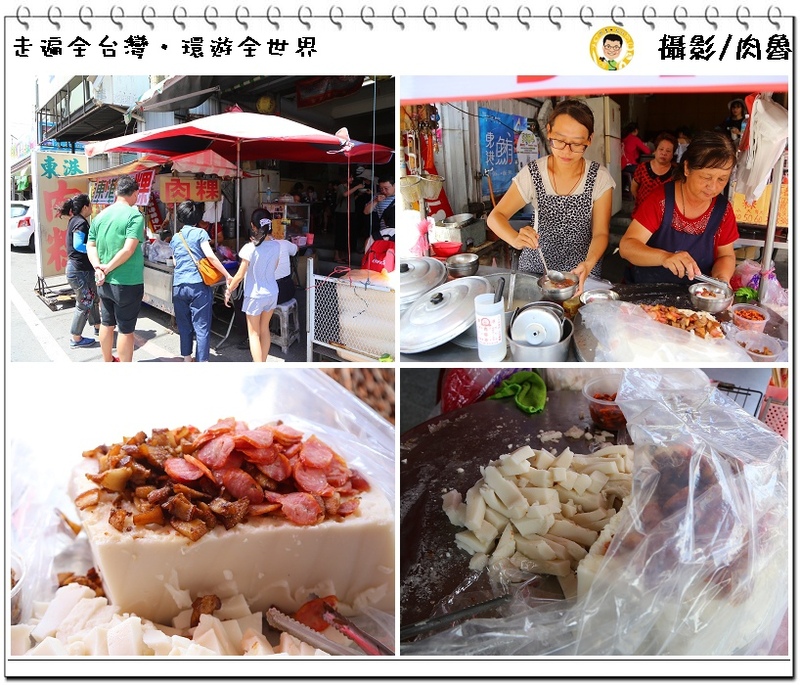 If you are too lazy to look for those shops yourself, buy Dapeng Bay E-Travel Tour Package of ‘Three Hours Donggang Delicious Local Food Trip’, let your exclusive tour guide take you around alleys for food and fun! Super-convenient Dapeng Bay E-Travel Tour Package! 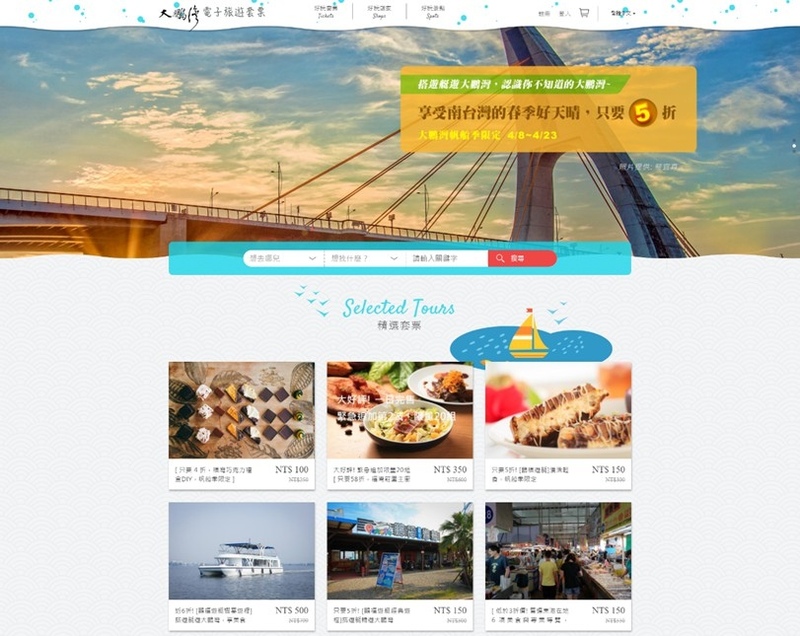 The website of Dapeng Bay E-Travel Tour Package provides not only attractions and delicious food of Donggang, Little Liuqiu and Dapeng Bay, it also takes care of transportation, such as return boat tickets for Little Liuqiu or local electric scooters. The website provides a variety of packages, so consumers no longer need to search for attractions, worry about boat seats being fully booked during high season, or look for local transportation. They can buy different packages according to their needs. Super save Dapeng Bay E-Travel Tour Package! 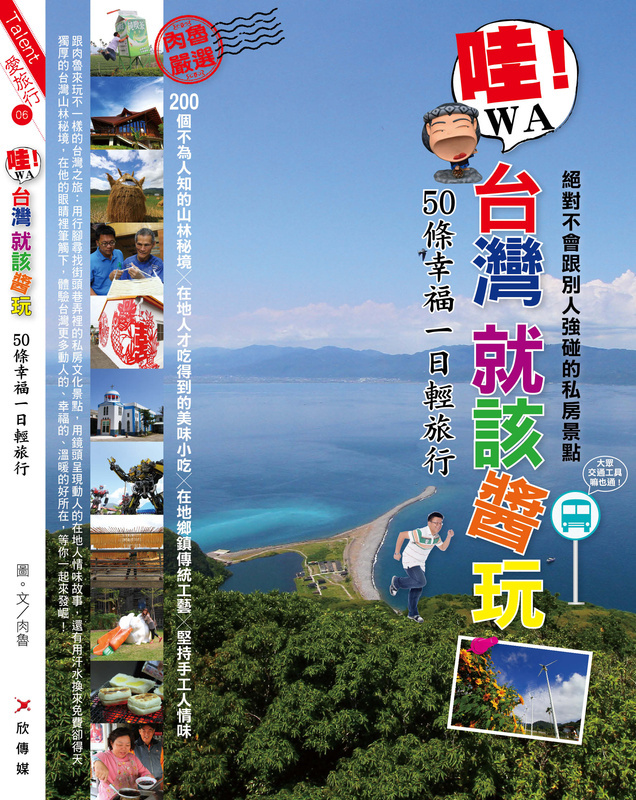 The website of Dapeng Bay E-Travel Tour Package provides varies type of tour packages. 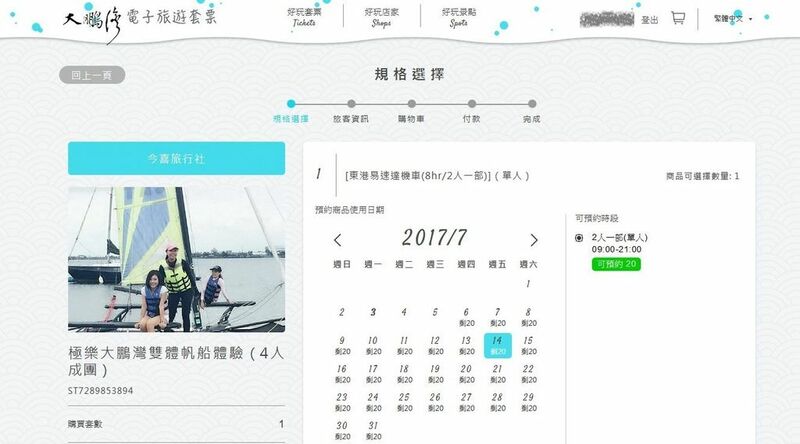 You can get cheapest deals for Little Liuqiu return boat tickets and electric scooter online (so you don’t need to worry about seats being sold out when you go purchase at the port). Either you want to try windsurfing or kayaking, or want to try delicious local food that nobody knows about, there will be package deals available for 20% to 40% off. It can even go up to 50% if you’re traveling with group 4 or more. There are a wide range of packages combining transportation, food and attractions. I guarantee that you won’t find anything cheaper. 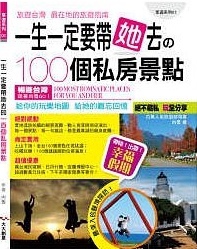 It’s the only exclusive travel packages in Taiwan! provides the sweetest convenient and time-saving service, from purchase online to get actual service. After your purchase as a login member, the system will automatically send exclusive order details and QR Code to you. 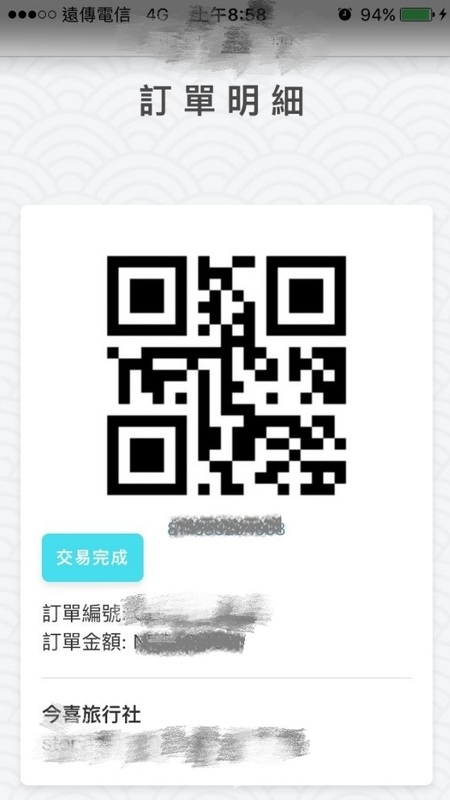 You only need to show your QR code to the shop to exchange services. During the purchase procedure, you can also book the date of service in advance, so you can experience prioritized and guaranteed service. "Summer promotion" Donggang Little Liuqiu Return Boat Tickets and Electric Scooter Rental. Dapeng Bay E-Travel Tour Package website has launched limited package deals for people who want to go to Little Liuqiu during summer vacation! 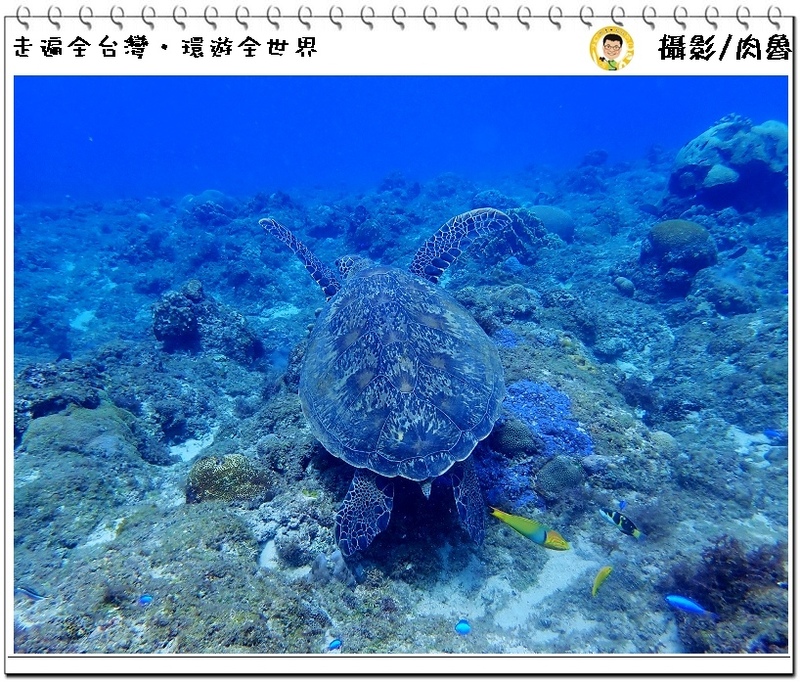 It makes me want to go diving at Little Liuqiu, to see my old friend big sea turtles once again!